Glenview Haus offers clients fire-rated doors to ensure the maximum protection in case of fire for any business or commercial enterprise. Our fire-rated doors are completely custom made and architectural grade, and are officially certified and rated up to 90 minutes. These doors are the perfect safety and style compromise, allowing a clean, consistent look with all the same details as your standard doors. 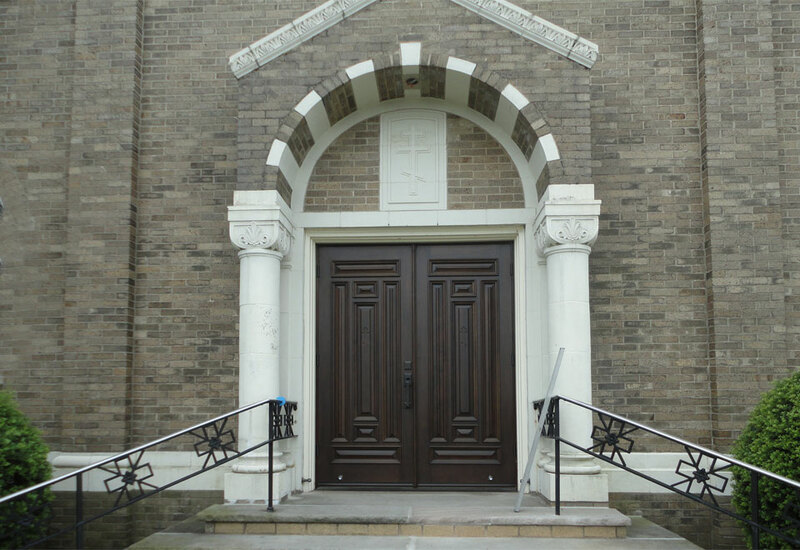 From replacing extremely elaborate doors in a landmark hotel to providing a custom designed church entryway, our fire-rated doors are perfect for historical restorations, landmark projects, religious organizations, high-end commercial and hospitality establishments, and all other areas where a simple flush metal door will not do the job justice. We specify fire-rated doors to fit your exact specifications, while ensuring furniture grade quality. 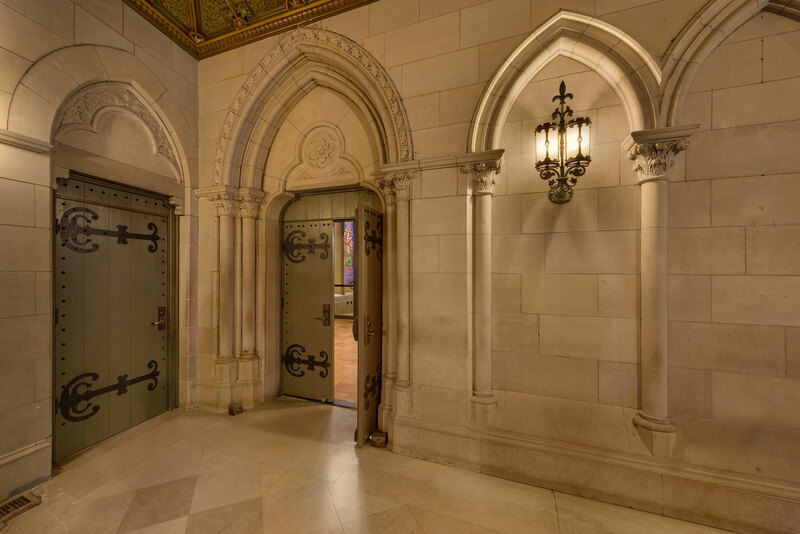 The ability to match distinct designs, produce custom sizes, and choose from a variety of wood species and unlimited finishes will make sure that your custom made Fire-Rated Doors will be exactly what you are looking for. We can machine for all hardware including hinges, locks, closers and other rated hardware that is specified by our clients. 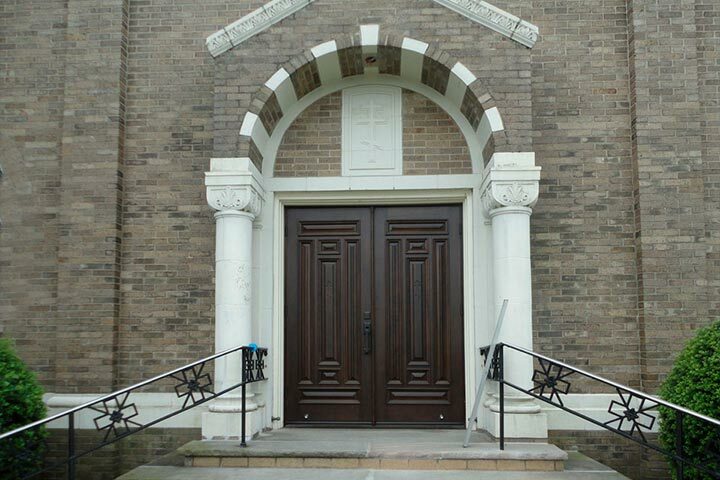 Custom wrought-iron decorative elements are also available on request. 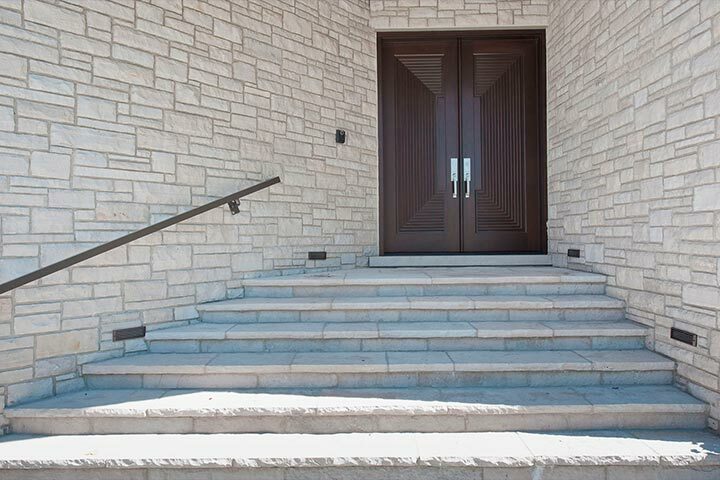 Glenview Haus Fire-Rated Doors doesn't make you compromise style for fire safety. With our many customization options, your can make their commercial space as beautiful as you dreamed.